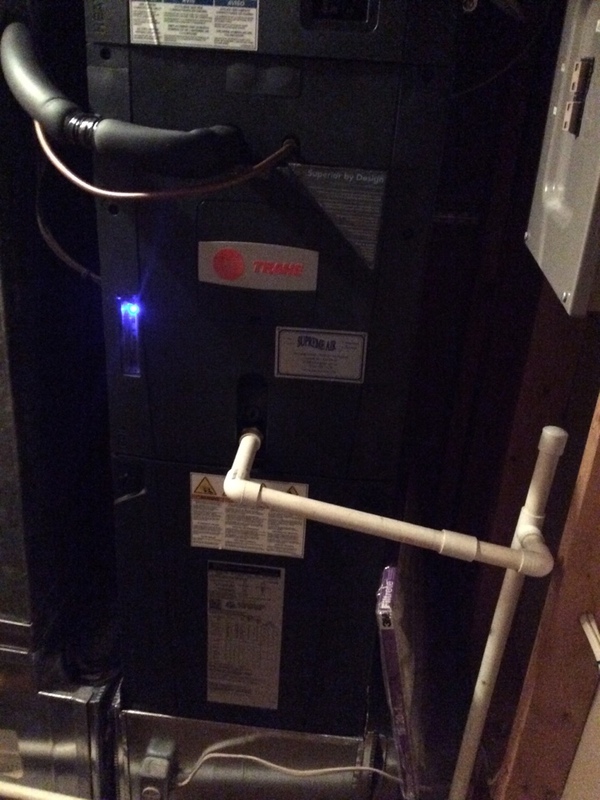 Supreme Air provides Air Conditioning, Heating and Plumbing Services, Repair, Installation, Maintenance, and Tune Up in Hanover, MD and surrounding areas. Spring Pm On 04/19/19 On arrival set unit to call for cooling measured supply and return air temp measured voltage and amps inspected electrical connections checked drain and cleaned checked filter cleaned checked EWP and LWP water pressure and temp perfect checked compressor capacitor good unit tested unit operating normal at this time highly recommended Evaporator coils and duct work needs to be cleaned. Have someone come out to test ductwork for leaks for final inspection. Customer needs to have the ductwork tested with a pressure hood to ensure there is minimal air leakage. This test is required for a final in Anne Arundel County. I arrived thinking there was an issue with static pressure or any other normal operational concerns I could check out. The test required is very specific and Supreme Air can schedule someone to come out to perform this test. I made an estimate to do this and explained to the customer. I asked the customer for payment for the duct testing and for the trip fee for today. Customer asked that the office please call them to handle payment. I called the office manager and the service manager to let them know the circumstances and the office will reach out to the customer to follow up with scheduling the duct pressure test. 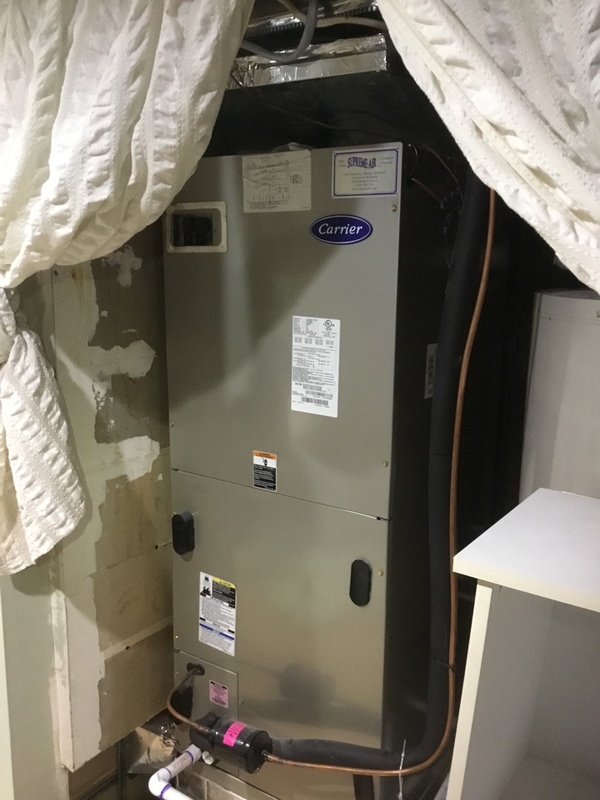 On arrival checked thermostat was calling for AC: measure temp coming in and temp going out, voltage, AMPS, electrical connections,replace filter provided by customer (16x20x1),contactor, voltage absorption system rated for 40mf,actual 41.6. System is operating normal at this time. Fall pm on 02/13/19 On arrival set units to call for heat measured supply and return air temp measured voltage and amps inspected electrical connections checked drain and cleaned checked filters and replaced checked heat exchangers checked coils is cleaned .no recommendation unit operating normal at this time. Variable speed outdoor fan motor had line voltage and a nominal amp draw but does not operate. I filled out a part order form. Part and repair covered under Trane 10 year extended warranty, verified by the office. Checking operations on a Carrier Air handler in Hanover,MD.